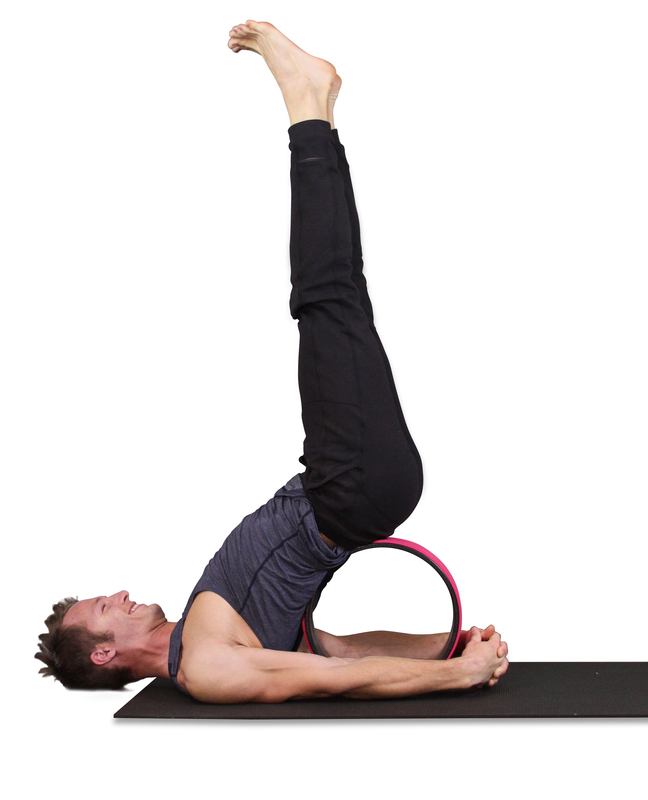 The SukhaMat Yoga Wheel is a beautifully detailed, Yoga Prop used to open the entire back, shoulders, align the spine, relax muscles, expand the chest, and stretch the hip flexors and quadriceps. 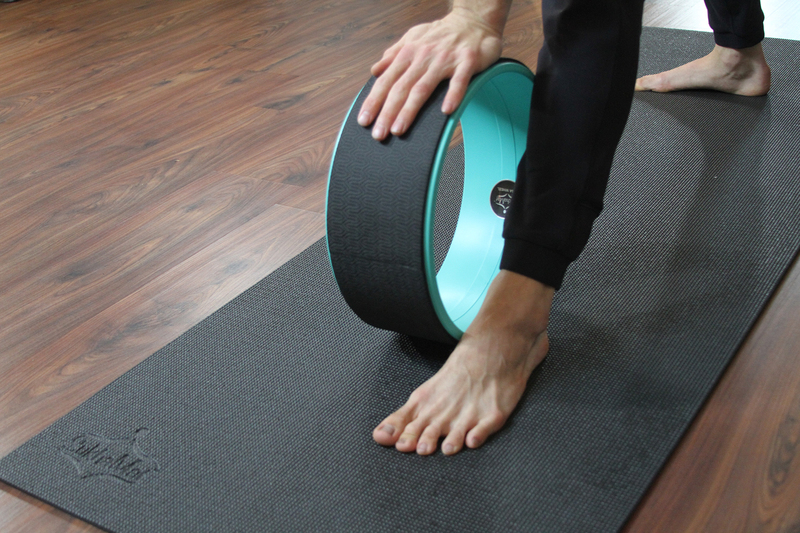 The Yoga Wheel is quickly becoming a must have yoga prop for yoga practitioners who are looking to push their practice to a new level. 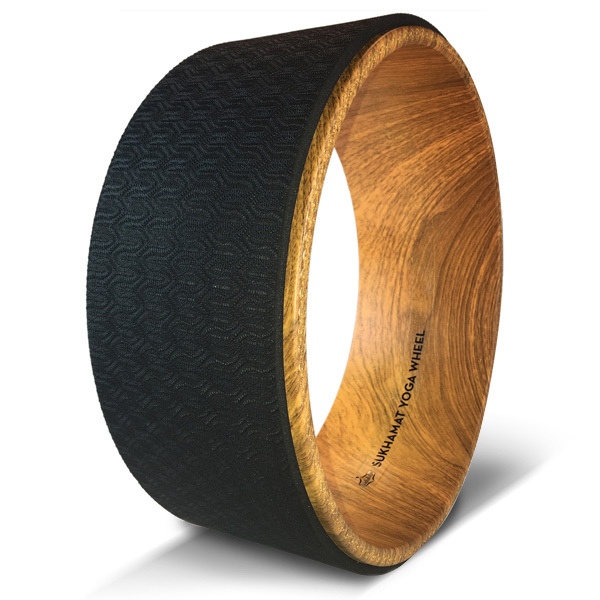 This beautifully detailed, Yoga Wheel is used to open the back, shoulders, relax muscles, expand the chest, and stretch the hip flexors and quadriceps. It can also be used to help relieve back pain. 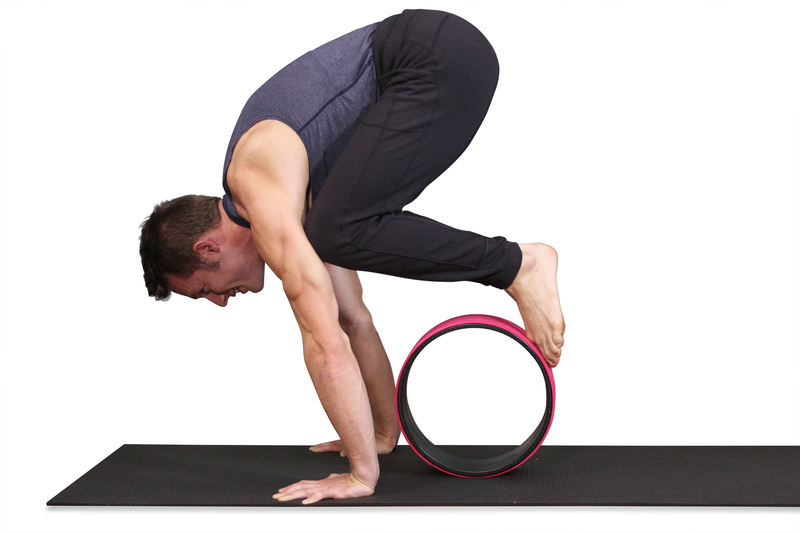 The Yoga Wheel is a fun and challenging way to help advance and deepen your postures. Suitable for intermediate to advanced practitioners. Always consult your physician before beginning any new exercise regimen. Engaging in any exercise regimen involves the risk of injury. SukhaMat shall not be liable for any claims for injuries or damages resulting from or connected with the use of the SukhaMat Yoga Wheel.